In the case of Estate of Paterno v. NCAA, 2017 Pa. Super. 247 (Pa. Super. July 25, 2017 Stabile, Panella, Dubow, J.J.) (Op. by Stabile, J. 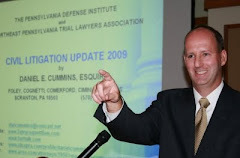 ), the Pennsylvania Superior Court addressed the attorney work product doctrine. In a decision which affirmed in part and reversed in part the lower court’s decision, the appellate court ruled that the discovery of non-verbatim attorney notes and memoranda concerning interviews should not have been allowed by the lower court. The Superior Court noted that such items, including attorney summaries, are totally protected by the attorney work product privilege. 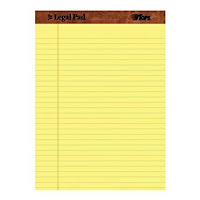 The court more specifically stated that the attorney work product is protected as long as the items involve attorney conclusions and mental impressions, whether or not such paperwork was prepared in anticipation of litigation. In its decision, the court also noted that the protections of the attorney work product doctrine are broader under state law then federal law in this respect. I send thanks to Attorney James Beck of the Philadelphia law office of Reed Smith for bringing this case to my attention. In its recent non-precedential decision in the case of Nicolas v. Zolner, No. 1261 MDA 2016 (Pa. Super. Aug. 15, 2017 Moulton, Solano & Musmanno, J.J.) (Mem. Op. by Musmanno, J. ), the court provided its latest take on the Lamp v. Heyman line of cases pertaining to proper service of original process in a civil litigation matter. In this case, the court affirmed the trial court’s granting of the Defendant’s Preliminary Objections where the Plaintiff did not make any good faith effort to complete service of original process until approximately 2 ½ years after the expiration of the statute of limitations. In so ruling, the appellate court agreed with the trial court’s rejection of the Plaintiff’s arguments that the Plaintiff’s attorney’s dealings with the Defendant’s liability carrier put the Defendant on actual notice of the litigation. The court found that this argument to be “without merit.” The court additionally noted that communications between the Plaintiff and a Defendant’s carrier cannot serve as a substitute for actual service of process under the Rules of Civil Procedure. The prevailing defense attorney in this matter was Attorney Stephen T. Kopko of the Scranton, PA insurance defense firm of Foley, Comerford & Cummins. 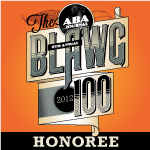 If you are interested, here is a LINK to the webpage to nominate blogs for the 2017 Best Legal Blog Contest put on by the Expert Institute. In the case of Nicolaou v. Martin, No. 58 MAL 2017 (Pa. Aug. 18, 2017), the Pennsylvania Supreme Court has issued an Order agreeing to hear the appeal of a woman whose case against medical providers over an alleged misdiagnosis of her Lyme disease was dismissed partly because of Facebook posts indicated that she knew that she suffered from the disease years before filing the suit. Here is a LINK to the Pennsylvania Supreme Court's Order. A split Pennsylvania Superior Court panel previously ruled that the Plaintiff’s claims were barred by the two (2) year statute of limitations. Source: Article: “Pa. Justices Agree to Eye Facebook Post’s Impact on Discovery Rule By Max Mitchell of The Legal Intelligencer (Aug. 21, 2017). In a case of apparent first impression in Armstrong County, the court in the Post-Koken case of Stennett v. Religa and Erie Ins. Exchange, No. 2017-0491-Civil (C.P. Armstrong Co. July 24, 2017 Panchik, J.) denied a tortfeasor defendant's efforts to sever the tort claims asserted against him from the breach of contract UIM claims asserted against the carrier defendant. 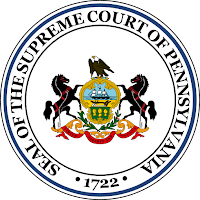 In so ruling, the Stennett court noted that "there is no clear appellate precedent in Pennsylvania governing whether tort and insurance breach of contract claims, both arising out of a single accident, should proceed together." The court ruled that the claim would proceed together in this matter through discovery without prejudice to the parties' right to seek a severance or bifurcation at the time of trial. Anyone wishing to review a copy of this Memorandum and Order in the case of Stennett may click this LINK. I send thanks to Attorney David M. Landay from Pittsburgh, PA law for bringing this case to my attention. While redundancy in particular word use is to be avoided in brief writing, every effort should be made to repeatedly state the validity of your legal ­position supporting the relief requested. The first and last sentence of each ­subsection of your brief should contain the legal conclusion that supports your ­client's position. Brief writers will often start with a statement of the applicable rule of law but never fully apply the facts of the matter to that law. Or they will apply the facts to the law but not write that next, most important, concluding sentence tying it all together by stating that the law supports the client's position such that the ­relief requested should be granted. So be sure to end each section of the brief with a sentence set forth in an active voice stating that this part of your legal argument should be accepted as valid by the court under the law provided. Repeatedly end each section of the brief with a respectful statement that the motion at issue should therefore be granted or denied, whatever the case may be. (1) Whether the "household vehicle exclusion" violates Section 1738 of the Pennsylvania Motor Vehicle Financial Responsibility Law (MVFRL) where GEICO issued all household policies and unilaterally decided to issue two separate policies, when the insured desired stacking, elected stacking, paid additional premiums for stacking and never knowingly waived stacking of underinsured motorist benefits? (2) Whether the "household vehicle exclusion" impermissibly narrows or conflicts with the statutory mandates of the Pennsylvania Motor Vehicle Financial Responsibility Law and the evidence of record is that GEICO was fully aware of the risks of insuring a motorcycle in the same household as other family vehicles but unilaterally decided to write a separate motorcycle policy? I send thanks to Attorney Scott Cooper of the Schmidt Kramer firm in Harrisburg, PA for bringing this Order to my attention. In a recent decision by the Pennsylvania Commonwealth Court in the case of Stuski v. Philadelphia Auth. 4 Indev., No. 1979 C.D. 2016 (Pa. Cmwlth. May 25, 2017 Covey, J. ), summary judgment was affirmed in favor of a landlord Defendant in a slip and fall matter. The court ruled that the tenant and not the landlord had the duty to remove snow and ice from the premises where the tenant had exclusive control over the premises where the slip and fall occurred. The court additionally noted that the tenant was obligated under the lease to perform snow and ice removal and had taken actual responsibility for that task. As such, the entry of summary judgment by the trial court was affirmed. Anyone wishing to review a copy of this case may click HERE. Source: “Digest of Recent Opinions,” Pennsylvania Law Weekly (June 20, 2017). Tort Talkers may recall a recent post on the Bankruptcy Court case of In re Betty L. Morris addressing the ability of a Plaintiff to move a personal injury case forward against a tortfeasor who is in bankruptcy where the Plaintiff agrees to limit the recovery to the amount of the liability limits available. 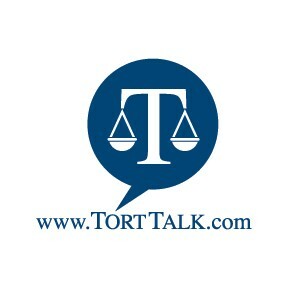 That Tort Talk post can be viewed via this LINK. Anyone wishing to review the companion state court decision in that case along the same lines may click HERE. I send thanks to Attorney Scott E. Diamond of the Philadelphia, Pennsylvania law firm of Sacks Weston Diamond, LLC for bringing this case to my attention.